The Idlib de-militarized zone (DMZ) deal is a powerful tool for advancing peace, but only if Turkey and Russia commit the resources to properly enforce it. The implementation of the Idlib DMZ holds powerful consequences for the ongoing Syrian constitutional committee and the broader peace process. The decision to support or reject the opposition in its appeals to AKP voters is bound up with its identity as the representative of official secularism, a reputation that has proved difficult to shake. The memory of the divisive 1970s and the terror-filled aftermath of the 1980 coup remains a deeply impactful force conditioning voter behavior. An understanding of these traumatizing years, which left few segments of society untouched, contextualizes the steep odds against which the opposition was forced to contend. In Turkey, Erdogan tries to distance himself from Ataturk’s legacy even as his actions recreate some of the very policies he decries in his predecessor. Is Erdogan in the process of building a cult of personality that could surpass that of the country’s founding father? 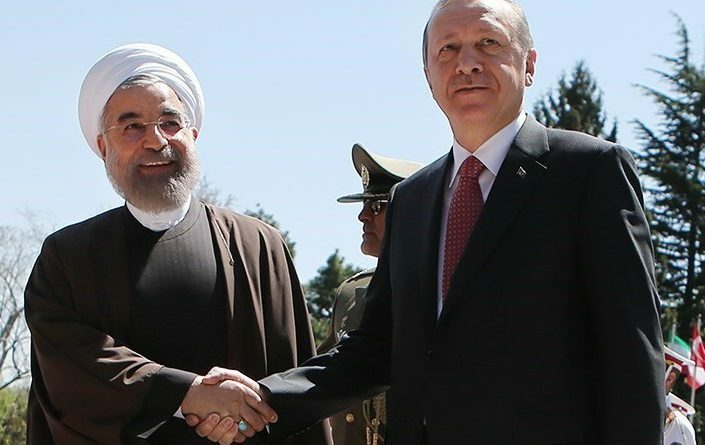 Has the possibility of an independent Kurdistan forced the governments of Turkey, Iran, and Iraq to overlook their intersecting rivalries in the Middle East? The resurgence of Turkish influence in the Middle East. Iran’s presidential elections: What next for Rouhani? Millions of people in the Middle East and elsewhere were forced to flee their homes in recent years. What they need most now is dignity.